Albita - Grammy & Emmy winning artist ALBITA live in concert! The Miami Design District Performance Series presented by Knight Foundation and produced by Emilio Estefan. Back in Miami for its 18th edition, the Food Network & Cooking Channel South Beach Wine & Food Festival (SOBEWFF) will dazzle your taste buds. Nosh on delicious eats crafted by celebrity chefs and attend glitzy late-night parties at this popular annual festival. The five-day event attracts more than 60,000 people and is hosted by Southern Glazer’s Wine & Spirits and Florida International University. Proceeds benefit FIU’s Chaplin School of Hospitality & Tourism Management. Ticket prices vary by event and sell out fast. The 35th annual [South Miami Rotary Art Festival] will take place in Downtown South Miami along picturesque Sunset Drive. Listen to live music, hang out in the beer garden and view works by more than 150 artists. Admission is free. Giralda Presents is a series of 6 events taking place the third weekend of every month starting November 23-24, 2018 to April 2019. Held each year in February, Progressive Insurance’s Miami International Boat Show is back. Featuring the finest collection of both powerboat and sailing products in one location, browse more than 170 marine brands. There will be seminar tents dedicated to sailing and boating education, featuring dozens of seminars each day. Hop on one of the free water taxis or shuttles for easy access to the show. Tickets start at $25; two-day passes are $45; children 12 and younger are free. 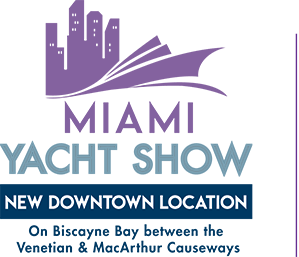 Also happening at the same time as the Miami International Boat Show, check out the latest yachts and marine technology at the Miami Yacht Show. In a new location this year. Tickets start at $25; children 15 and under are free. VIP access is $150. 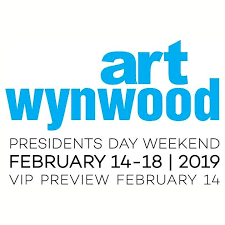 Back for its eighth annual edition, Art Wynwood is a prestigious fair featuring contemporary works from around the world. Explore art from more than 70 international galleries at the new home of Art Miami and CONTEXT Art Miami (located at the former Miami Herald site) on Biscayne Bay in Downtown Miami. Tickets to Art Wynwood start at $15. 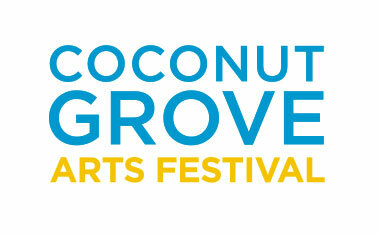 One of the largest outdoor art festivals in the country, the annual Coconut Grove Arts Festival is held each year on President’s Day Weekend. Enjoy live music, food by local chefs and, of course, lots of great art. Check out the work of more than 300 international artists in the eclectic seaside village of Coconut Grove. Tickets start at $15 and there’s a $5 discount for residents. Proceeds go towards scholarships to students who attend fine arts programs at local schools. Viernes Culturales features music and works by local artists and artisans in and around Domino Plaza on Southwest 8th Street and 5th Avenue, and behold contemporary and historic artworks at many fine art galleries along Calle Ocho. Savor a delicious dinner at one of the local restaurants, boasting cuisine from all over the world. Come dance, eat, shop and enjoy a delightful evening in Little Havana. This month enjoy the Miami Senior High School Choir and the Ameyal Ballet Folklorico, the Cuban Classical Ballet of Miami and Pamir Guanchez. “A bonus treat from Alan Bennett that leaves you bopping on a wave of happiness.” – Paul Taylor, Independent Filmed live at London’s Bridge Theatre during its limited run, Allelujah! is a play not to be missed. LIVE IN THE DESIGN DISTRICT! Enjoy a performance by the Reggae Ambassadors Third World featuring Jo Mersa Marley. Taste. Treat. Tour. 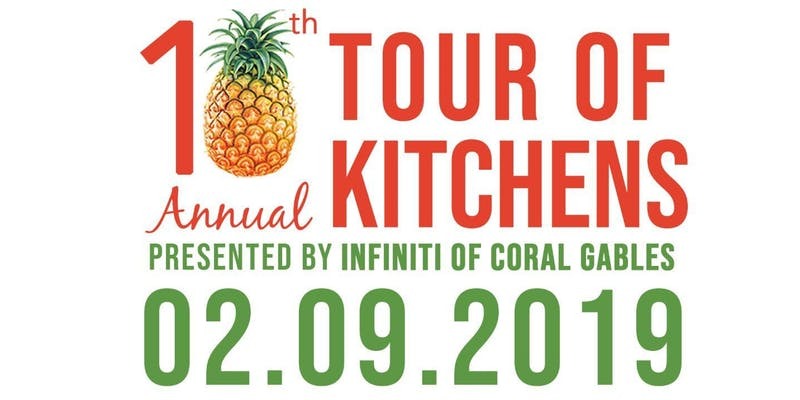 The 10th Annual presented by Infiniti of Coral Gables is a self-guided tour of Coral Gables’ most impressive private residence kitchens, each equipped with tasty samples from local restaurants and home goods for sale. Join us at the Coral Gables Museum from 2-5pm, FREE ADMISSION, as we celebrate the people and city we love! Families will have the opportunity to make valentines projects for the special people in their lives, show the city some love and explore the museum. Activities will include art making, book reading and games for everyone to enjoy! 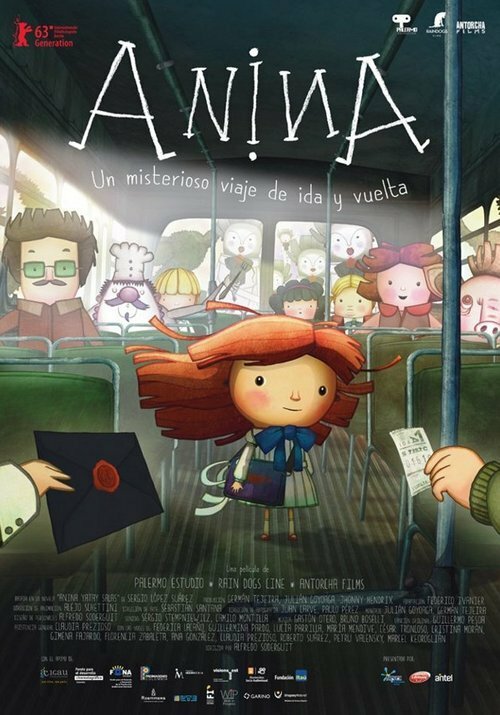 Featuring beautiful animation that pays homage to its children’s book source material, AninA perfectly evokes childhood joys and fears through the story of a girl with a palindromic name: Anina Yatay Salas. Miami Marlins will hold its annual FanFest at Marlins Park: autographs, meet-and-greet sessions with current Marlins players and alumni, a batting cage experience with Marlins’ players, a speed pitch station, the chance to compete against a Marlins player in dominoes, giant Jenga or giant Connect 4, an assortment of food trucks and music, as well as giveaways throughout the day. For the kids there will be face painting, balloon animals and a kids’ DJ. To top it all off there will be a Fireworks show at the end of the event. What makes classical music so exciting?? 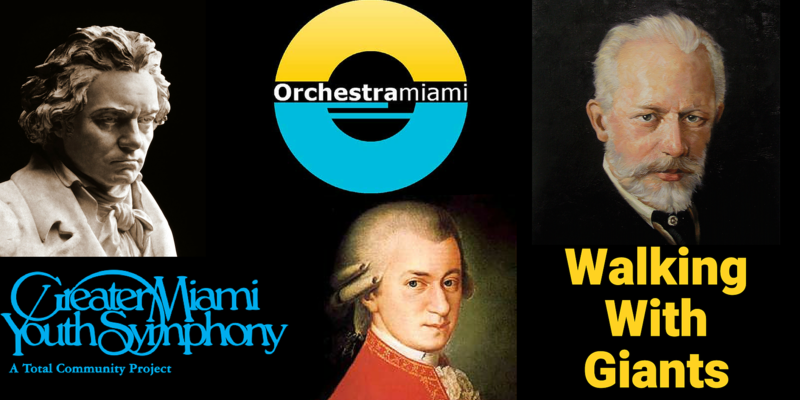 Learn about some of the greatest composers ever to write music as Orchestra Miami and select students from the Greater Miami Youth Symphony perform together in “Walking With Giants”- a side-by-side concert. Learn about our musical heroes- Beethoven, Mozart, Tchaikovsky, and more Dvorak!! The Coral Gables Farmers Market is back this Saturday, January 18 with vendors selling fresh Florida produce, baked goods, plants and flowers. Located at the corner of Miracle Mile and LeJeune Road.